Splendour eye: The World's Richest Temple - Treasure unlocked ! You probably have seen this in movies, where, there will be rooms filled with gold and other precoius jewels. Imagination has no limit, But how would you feel to see such a thing in reality ? 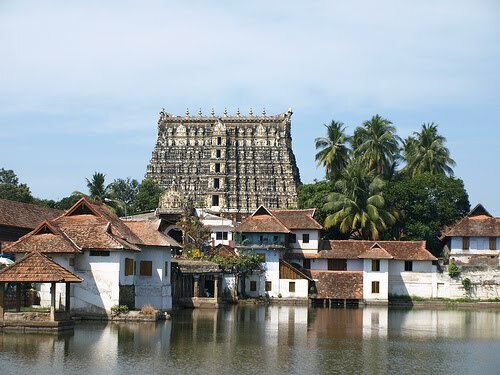 Well, now it has happened in reality in Anantha Padmanabha Swamy Temple, Kerala, India ! 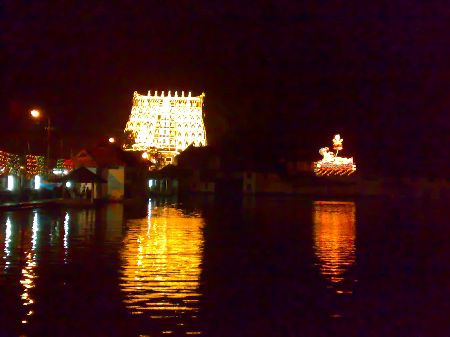 Six underground chambers below the temple at Thiruvananthapuram have been found filled with gold and diamonds, which belongs to 18th century. The total value of this treasure is estimated to $22 billion with one room still to be opened ! This temple is now the world's richest temple and has become famous over night. There were rumours wandering around about treasure inside the temple but no one had dared to demistify the secret. But when a lawyer living at a short distance from the temple stepped into high court of Kerala about theft of treasure, matter started to gain importance. After going through lot of high drama, Supreme Court of India appointed a panel to estimate the value of the treasure. This disclosed the secret of centuries ! On 27th of June one of the six rooms was opened and $400 million valued treasure was found. After opening other four doors, the value of treasure sky rocketted to $22 billion. Still one room left locked and experts are trying to unlock it. Who knows ? Still how much of treasure might be there behind the doors ! You must believe that there is a stones studded golden necklace weighing 10.5 kg !! And a 18 feet long statue of Anantha Padmanabha Swami ( The Lord Vishnu's avataar) has also been found !! The estimated value is just on the basis of current market rate of gold. But its value in international market would go up by four times because of its antiquity !! Several kgs of golden coins belonging to British East India company and Nepolean period has also been found. Now everyone are eagerly waiting to know who is going to be the owner of this huge treasure, but meantime, Policemen have a hard time in keeping the treasure safe !